California-based photographer Mitch Dobrowner began shooting “Storms” in 2009 as an experiment to photograph the dramatic thunderstorms happening across the Great Plains and what is known as Tornado Alley. Dobrowner has since traveled more than 19,000 miles over 14 different states in the pursuit of the most extreme weather he can find. 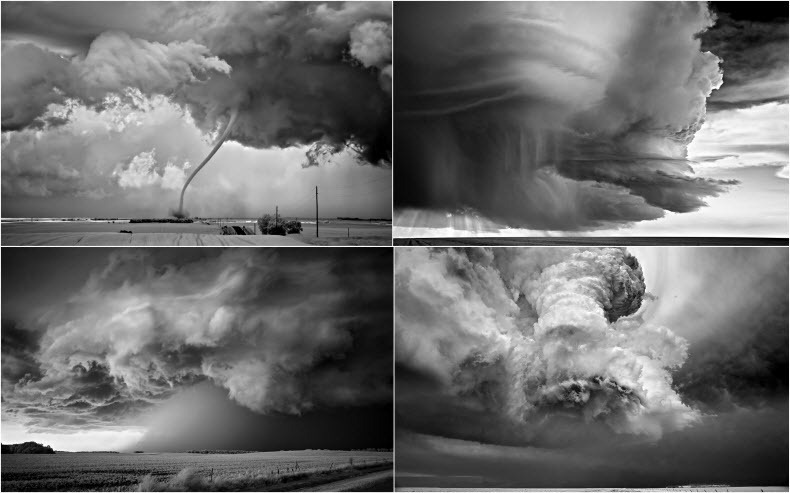 Mitch Dobrowner has just won the 2012 Sony’s World Photographer of the Year award with his stunning Storms series. Dobrowner’s extraordinary black and white photos of brooding skylines pregnant with impending storms defeated over 112,000 rival images that were submitted from 171 different countries.